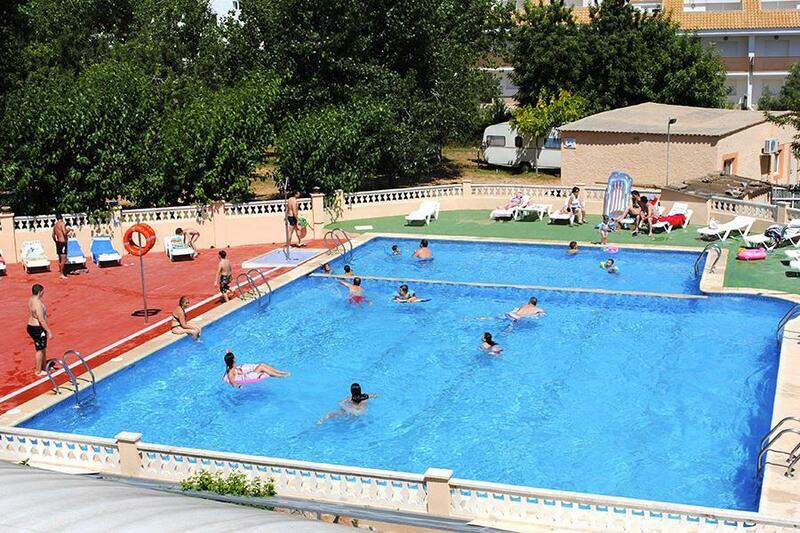 Camp for €14,- a night at Campsite Sol d'Or in low season with CampingCard ACSI. Campsite Sol d'Or, located in Peñíscola (Castellón), is a campsite with 164 touring pitches. With your CampingCard ACSI you can camp on one of the pitches during the following periods: 01-01-2019 - 17-04-2019, 23-04-2019 - 30-06-2019 and 01-09-2019 - 31-12-2019. Campsite Sol d'Or is 1.5 km from the sandy beach of Peñiscola, has good toilet facilities, spacious camping pitches and a good restaurant. So glad we chose this campsite. Camping Sol d'Or was so much quieter, the pitches more spacious and far less crowded. We have bikes so the location was fine for us. The facilities are basic but kept very clean and the staff were very helpful. The receptionist/owner was happy for me to practise my Spanish and replied in Spanish too. He couldn't have been more helpful. We were here out of season so not all the facilities were open, such as the pool and restaurant. WiFi was available throughout the site at no extra cost with a good signal strength. We would definitely stay here again. A very quiet location. Would you like to book Campsite Sol d'Or or request more information? You can do both using the information below. AP1 exit 43 to N340 direction Peñiscola, campsite located on right of this road before town. CampingCard ACSI will send your information request to "Campsite Sol d'Or".